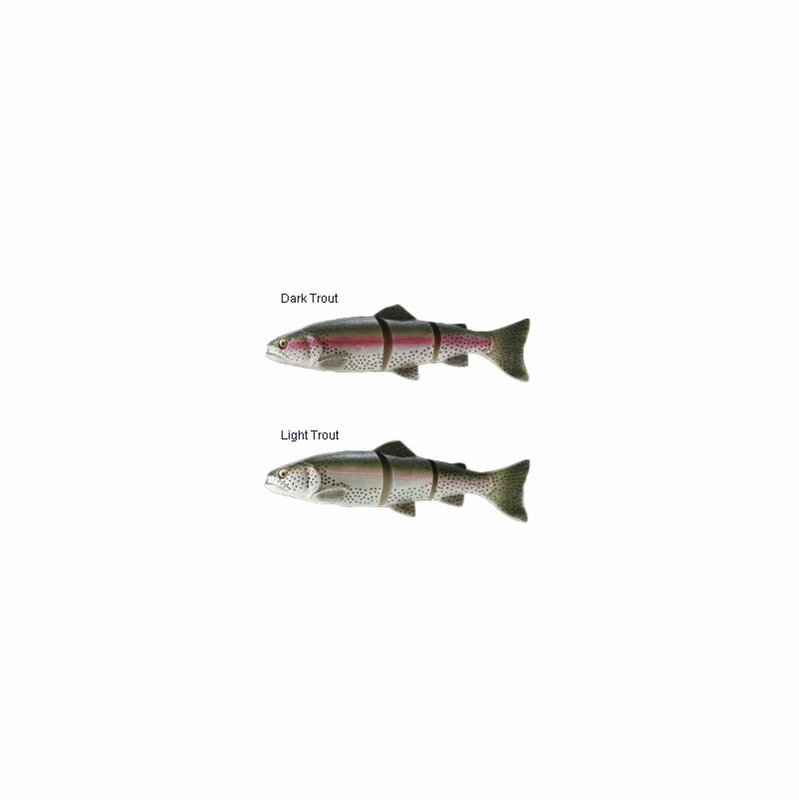 The Savage Gear 3D Line Thru Trout lures are similar to live bait. 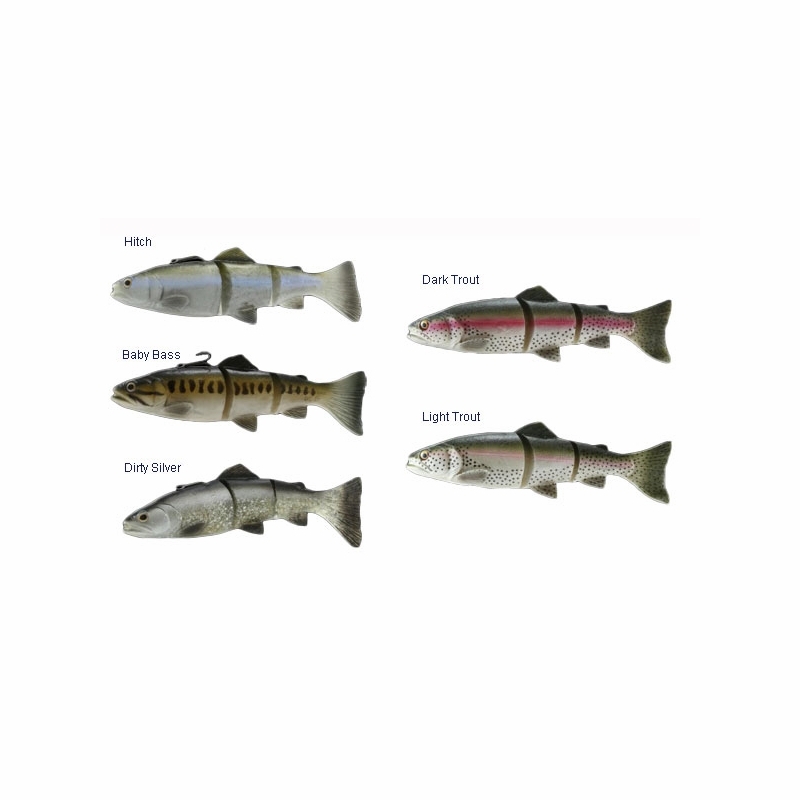 They are based on a 3D scan of a hatchery trout. This lure is reinforced with nylon mesh to offer a one of a kind silent line thru soft plastic jointed swimbait. The top hook line thru design means this bait can be fished around heavy cover and throughout the entire water column. A special slot in the bait?s harness anchors the hook in the harness not the soft plastic body of the bait. 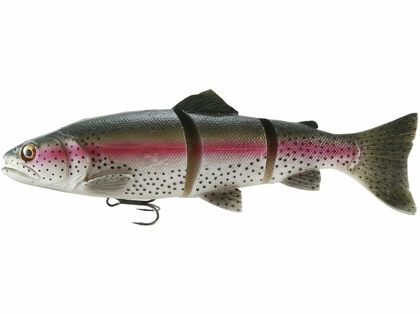 The hook will not tear through the soft body material on casts or hook sets. 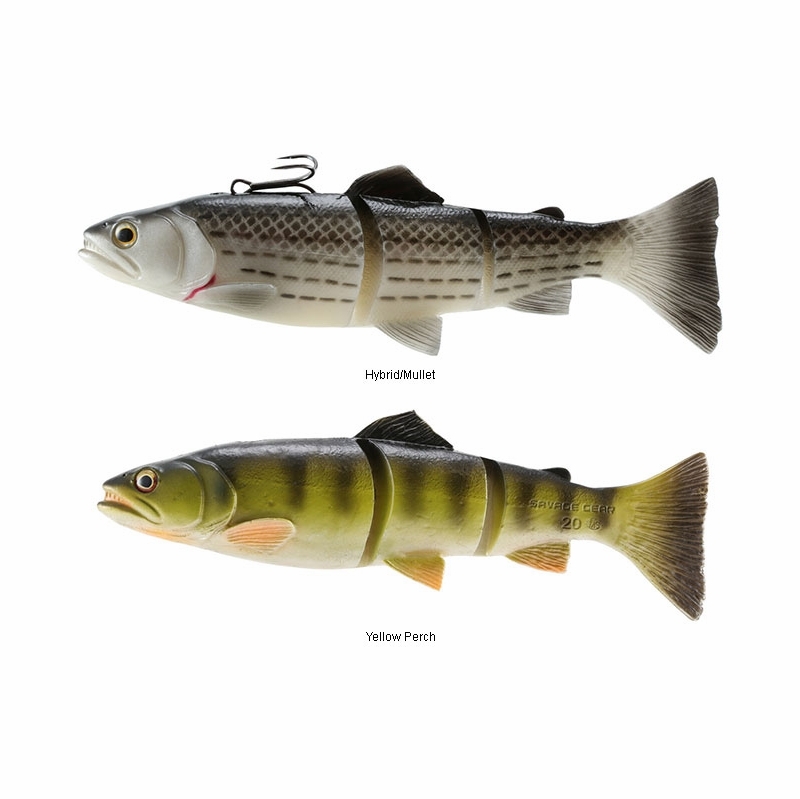 These for fishing spring pike in shallow coves and grassy areas. Caught me a nice 20 pound pike a few weeks ago. ProsHolds up great even after being used for toothy fish like pike any tears are easly repaired with just a little ligther. My clients absolutely love using the 6 inch on the lake for big bass! Does the 10" floating version allow you to rig either through the top or through the bottom? Or does it allow for top rigging only? These aren't pre-rigged, correct? You are correct they do not come pre rigged, The leader goes through the top of the lure and out of the bottom. It does come with one treble hook. Can you use these lures for Saltwater surf fishing? David, they where not specifically designed for that application, but I don't see why you couldn't use them for surf fishing.